﻿ What it Takes to Create Engaging Content in a “Boring” Industry » Red Mango Marketing! Some small businesses and organizations have it easy. But what if your business is focused on something a little less tempting — like, say, tax and accounting resources? Can you ever create content that excites your audience? This is a challenge the team at CPA for Freelancers® has been tackling since they started with email marketing six months ago. By providing useful and engaging content, CPA for Freelancers® has added over 2,000 subscribers to their email list and turned leads into paying clients. 1. Focus on your customers’ problems. Every piece of content you write should address a problem your audience members struggle with and offer a possible solution to overcome it. For CPA for Freelancers®, content inspiration often comes directly from conversations the founder, Jonathan Medows, CPA, has had with clients and prospects. From information on tax amnesty to how to file for a tax extension, their content provides helpful and timely advice. CPA for Freelancers® also targets relevant keywords that people are searching for online. Spend some time researching keywords that are relevant to your business and optimizing your website to show up in search results. 2. Get to know your readers better. Once you start developing useful content, get a better understanding of who your readers are and what they’re responding to so you can tailor your content to them. One of the best ways to connect with your audience further is to encourage people to sign up for your mailing list. 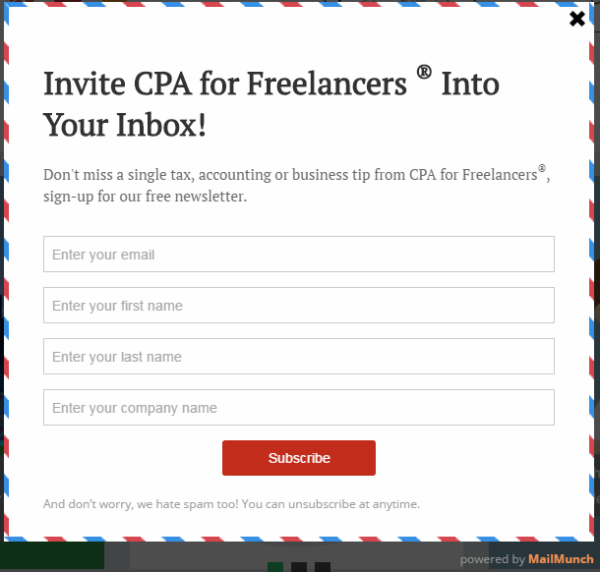 CPA for Freelancers® collects contact information from website visitors through an online sign-up form and a pop-up message created with the MailMunch app. MailMunch integrates with Constant Contact to automatically add new subscribers to your Constant Contact account. 3. Share new content consistently and track engagement. By practicing permission-based email marketing, CPA for Freelancers® is building an online audience that wants to hear from them. Now the challenge becomes keeping their audience interested by consistently delivering engaging content. A typical email from CPA for Freelancers® includes a friendly introduction from founder, Jonathan Medows, two or three useful content pieces, and an overview of the business towards the end of the email. Notice how the email is filled with fun headlines, like “Read the Blog…You’ll Thank Yourself Later!” and bright images. After sending an email, Gaynor uses email reports and website analytics to see what content is generating the most interest and driving people back to their website. Tracking which links are getting the most interest gives CPA for Freelancers® insight into what content they should create next. For example, if the “Last Minute Tax Planning Checklist” generated the most clicks in the mailing above, Gaynor would know checklists are a good format for her audience. 4. Experiment with different types of content. In addition to checklists and blog posts, CPA for Freelancers® also uses videos and webinars to connect with their audience. 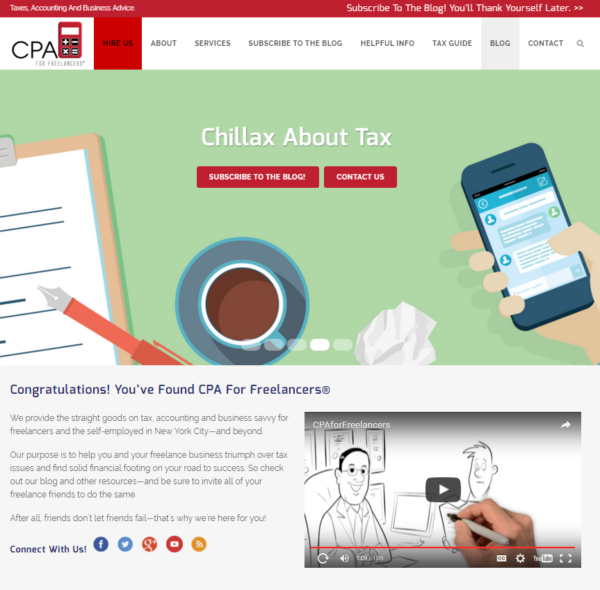 The CPA for Freelancers® homepage features a short, minute-long video to provide a business overview. Long-form content, like webinars, provides the opportunity for CPA for Freelancers® to go more in-depth and show their expertise. This gives attendees the chance to get to know, like, and trust CPA for Freelancers®. Remember that engaging content is about reaching the right people with the right information at the right time. While a quick video works perfectly on a homepage for people who are new to your business, your mailing list might enjoy something more substantial like an e-book or webinar invitation. Say goodbye to boring content! As CPA for Freelancers® demonstrates, your industry is no excuse for dull, lifeless content. Be helpful, actively work to understand your audience’s pain points and interests, and continually try new things to keep your content fresh and interesting. Get started today by thinking about a big problem your customers or clients are facing. Ask yourself: What problems are they facing and how can my business help? Write for your audience and help them be more successful. Then you’ll have them on the edge or their seat, every time. Need more tips on engaging your audience? Leave us a comment and let us know what you’re struggling with. 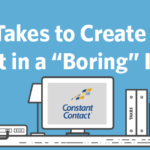 The post What it Takes to Create Engaging Content in a “Boring” Industry appeared first on Constant Contact Blogs. This entry was posted on Wednesday, April 13th, 2016 at 8:30 am	and is filed under Customer Success Stories, Email Marketing, News & Updates. You can follow any responses to this entry through the RSS 2.0 feed. Both comments and pings are currently closed.